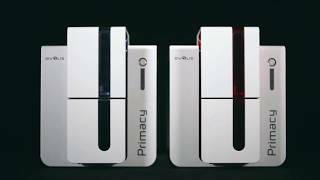 Cleaning Kit"1 pen, 1 dispenser"
The primacy id card printer (single double side printing) Label & Barcode Printer is manufactured by Evolis and was added around July 2017. 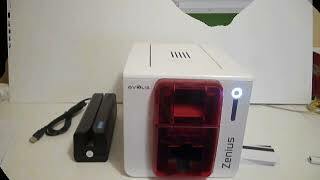 This version of the Label & Barcode Printer comes in Color : White. 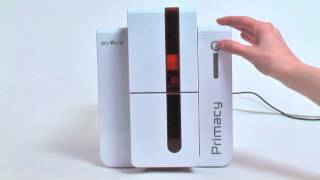 The best price for the Evolis Primacy ID Card Printer in India is ₹ 71070 sold at Snapdeal and available with free shipping and delivery within 1-5 working days . 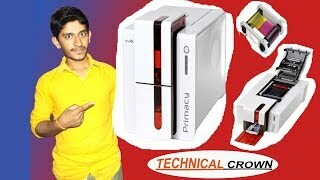 Evolis Primacy Duplex PVC Card Printer Hindi ! Technical Crown !